131 Retreat Road Bluemont, VA 20135-4642. BRVFRC is now connected with Amazon Smile! Support Blue Ridge while you shop! 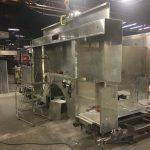 The new pumper is taking shape and work is proceeding on schedule. Here are some photos from the manufacturer as work continues. Blue Ridge Volunteer Fire and Rescue is a volunteer organization that relies on community support. Can you help? Donations are tax deductible. 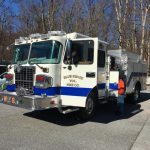 Visit is our Donate page to find out more..
Stay up to date with happenings at the Blue Ridge Volunteer Fire and Rescue Company. Sign-up to receive our newsletter.